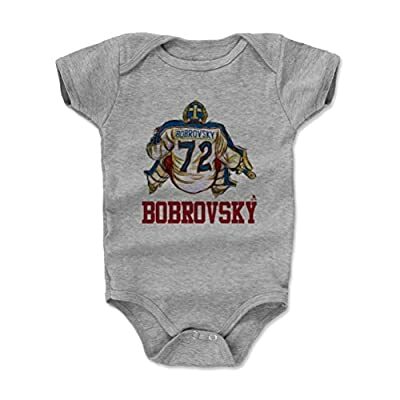 This Sergei Bobrovsky Baby Clothes & Creeper Onesie (3-6, 6-12, 12-18, 18-24 Months) makes a great baby shower gift and addition to any newborn baby's onesie rotation and perfect for fans of Columbus Hockey! Why Buy a 500 LEVEL Baby Clothes & Creeper Onesie (3-6, 6-12, 12-18, 18-24 Months)? 500 LEVEL T-Shirts are Officially Licensed by the NFL, MLB, and NHL Players Associations, among other licensors. We take pride in sending our customers authentic, custom garments, so when you receive your item, please take a moment to verify its authenticity and quality. We genuinely hope you enjoy your purchase! 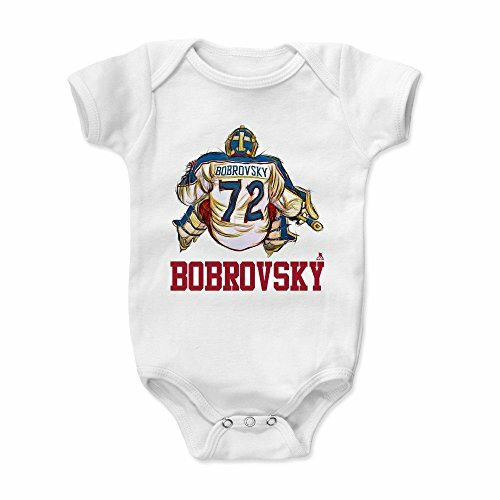 Columbus Hockey Fan Gear and Apparel Officially Licensed by the NHL Players Association Proudly And Meticulously Made In Austin, TX Custom Artwork: Passionately Designed by 500 LEVEL artists Sergei Bobrovsky apparel and accessories are custom and made-to-order, please allow up to 7 business days for shipping. Thank you!